ESET, the leader in Cybersecurity research has announced the launch of a new mobile security product specially designed for Airtel Nigeria subscribers. According to ESET, the new value offering will provide smartphone users with world-class features for prevention and management of cyber risks associated to Android mobile devices. The ESET Mobile Security product already exists globally on Google Play Store with over ten (10) million downloads and offers fast and precise detection of known and unknown mobile threats with complement of advanced features such as Anti-Theft, Security Audit, App Lock, SMS and Call Filter and Password Protection, amongst others. 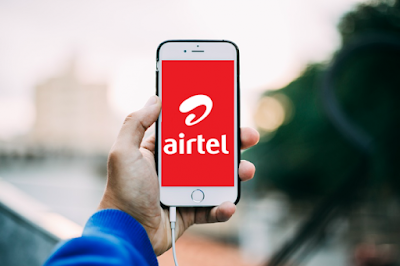 Dinesh Balsingh, Chief Commercial Officer, Airtel Nigeria, noted that Airtel is committed to making lives better for telecoms consumers and will continuously explore exciting partnership opportunities that will ensure customers’ data/information are safe and secured. “Our partnership with ESET affirms our strong commitment to our customers as we put them first in everything we do. With the innovative offering, consumers are safer and more assured as they connect and interact with friends, family members, loved ones and business associates,” he said. Airtel subscribers who wish to benefit from this new offering can subscribe via the Google Play store at a subsidized and flexible cost of ₦150 monthly. The new ESET mobile Security for Airtel also welcomes the brand-new premium features such as Anti-Phishing, which protects against malicious websites attempting to acquire sensitive information – usernames, passwords, banking information or credit card details. It also features Anti-Theft, which locks a device upon detection of suspicious behaviour or when unauthorized SIM is inserted. It also has the Remote Lock feature, allowing a device owner to lock his/her phone remotely, thereby preventing unauthorized access to all stored information, including photos and emails. The ESET Mobile Security also has the SMS & Call Filter feature, which enables smartphone owners to solely receive the calls and messages that they want and also empower them to define the sender and the time to receive SMS or calls with time-based call management.